Following multiple professions of faith over a period of 20 years, Don was converted to Christ while attending Bible College in the fall of 1974. The following year he was called to preach and shortly after, led into the ministry of itinerant evangelism. While in school, Don led a team of young preachers to local churches on the weekends to conduct soul winning clinics and train believers in door to door evangelism. After graduation in the spring of 1979, he worked with Treasure Path to Soul Winning for a brief time. On May 30, 1981, he was ordained into the gospel ministry. Since that time the Lord has provided numerous opportunities to preach in churches, conferences and retreats in 33 U. S. states and 26 foreign countries on five continents. Don is involved in church planting both as a planter and consultant. He has founded churches in North Carolina and Alabama. Presently, Don is involved in multiple ministries including itinerant ministry, serving as Eastern European Coordinator with HeartCry Missionary Society in Radford, VA, and caring for the Providence Gospel Church faith family in Tuscumbia, AL, as interim pastor. 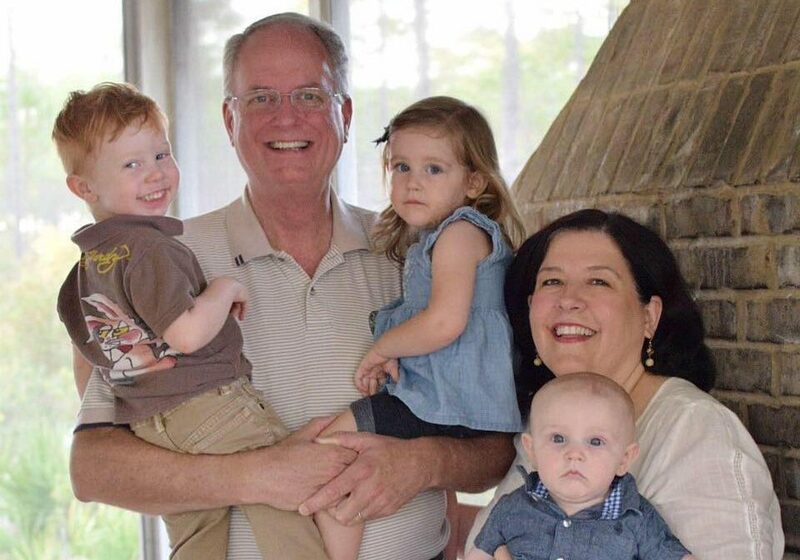 Don & Cindy Currin with 3 of their grandchildren.